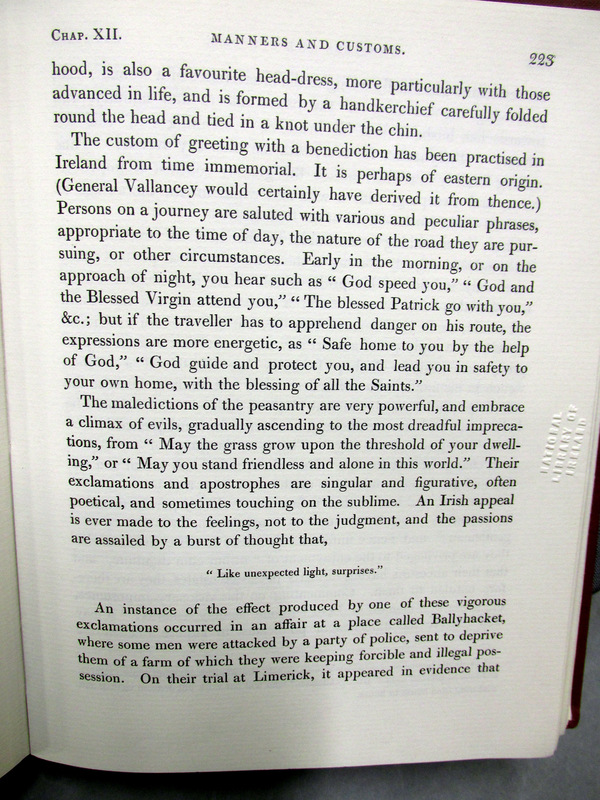 Methodist Minister, Rev. 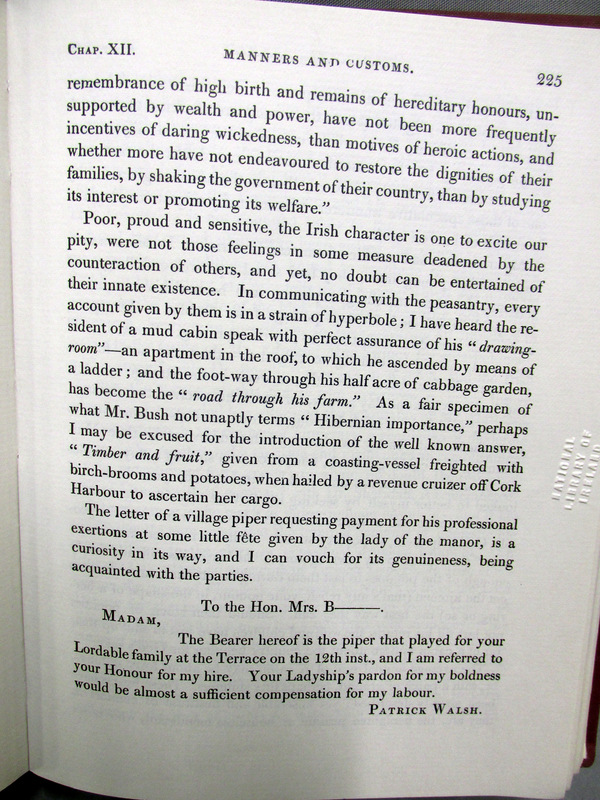 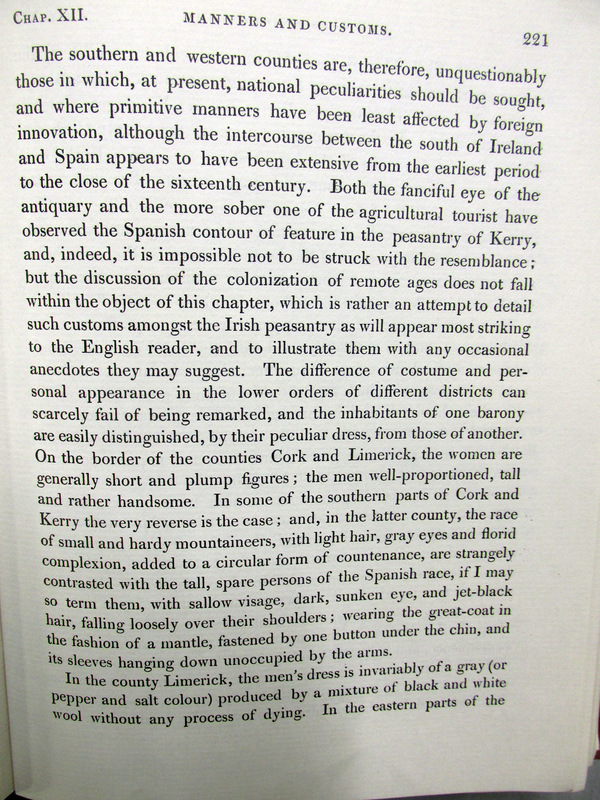 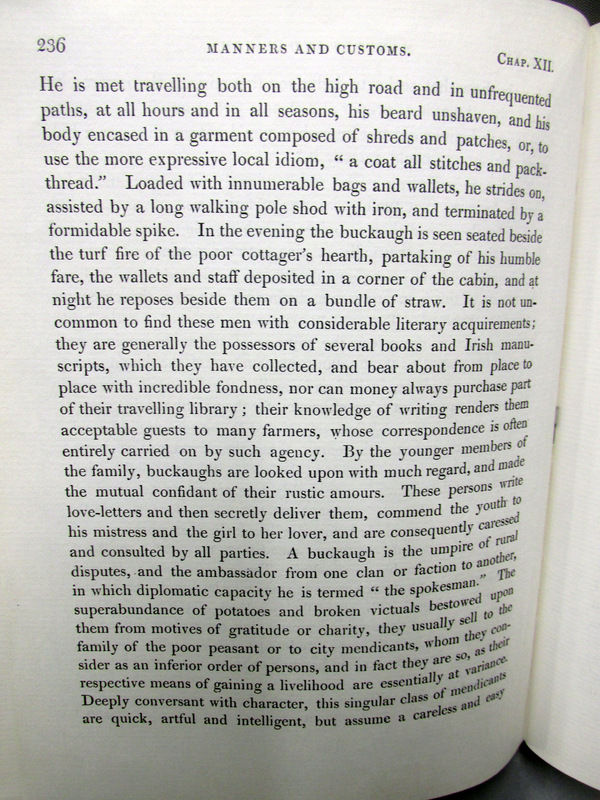 Adam Averill, 1799, on possible Scottish Origin, of West Cork, Swanton family and reputed Scottish Plantation, Castlehaven/Skibbereen c 1690s, Andersons, Hamiltons. 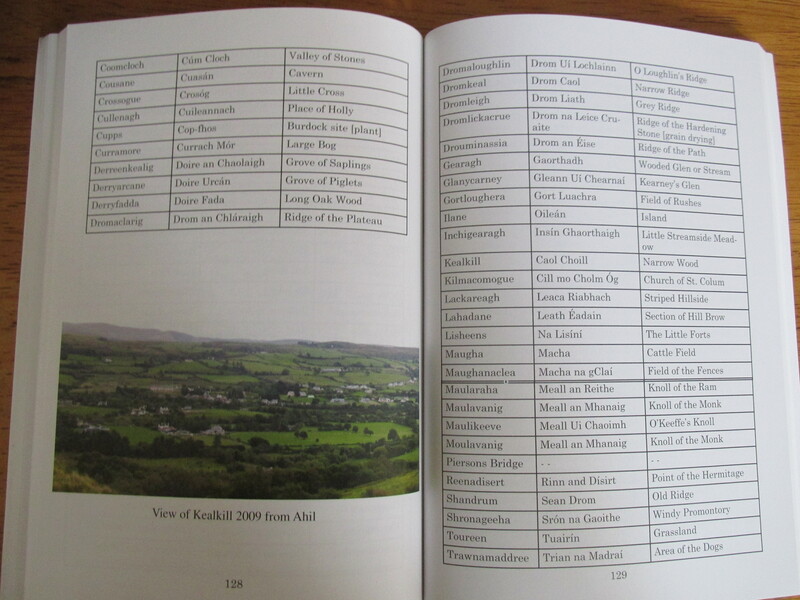 It is interesting that the West Cork Somervilles, descend from a Rev. 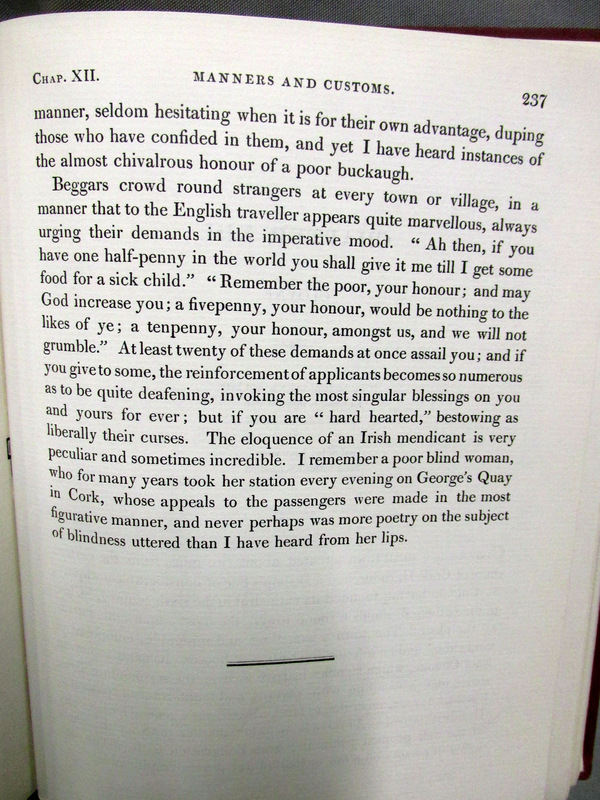 Somerville who fled to Ireland from persecution in Scotland c 1690 and may coincide if there was such a Plantation. 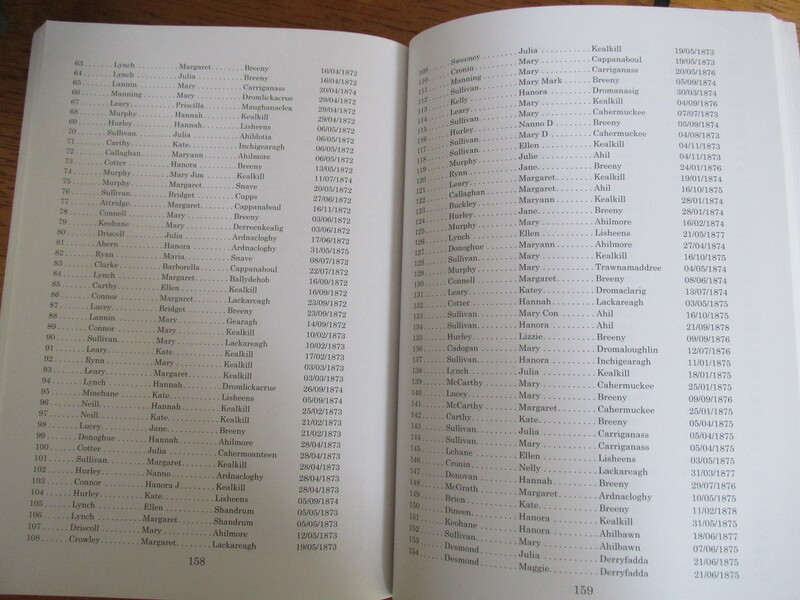 Re the names Hamilton may be Scottish or a corruption of an old Gaelic name. 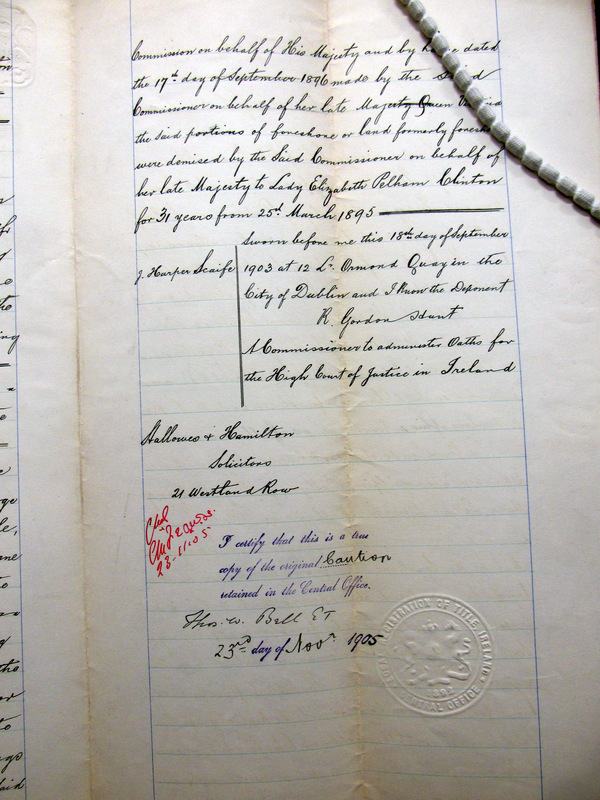 The Swantons have a tradition of industry, hard work and dissent which some would say are Scottish virtues. 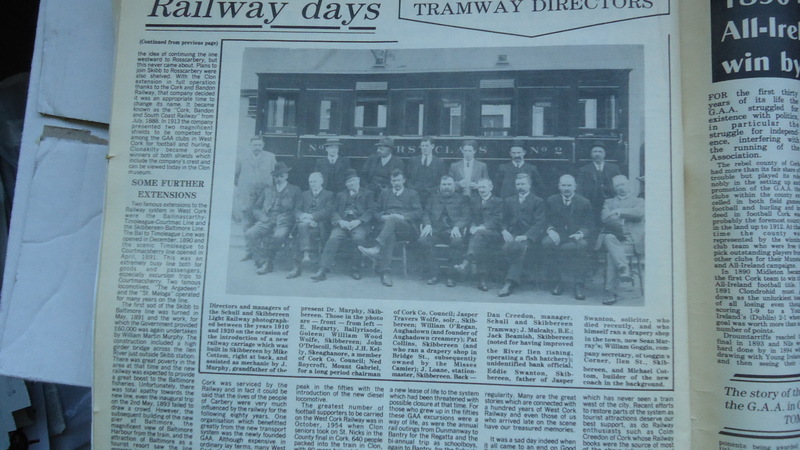 Photograph of Directors and Managers of Schull and Skibbereen Light Railway 1910-20, including Ned Roycroft, Mount Gabriel, Chairman Cork County Council, his daughter married Michael Pat Murphy, Caheragh, Labour TD for West Cork. 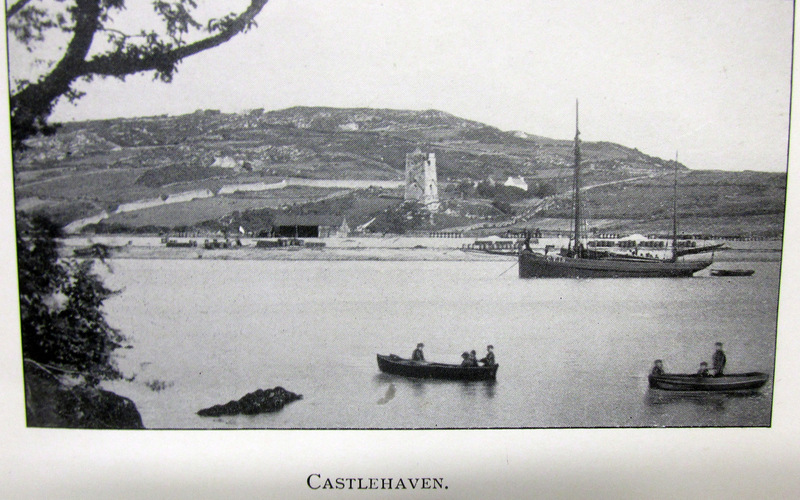 Jasper Travers Wolfe Solicitor (former Crown Prosecutor West Cork and later TD) and his father Eddie. 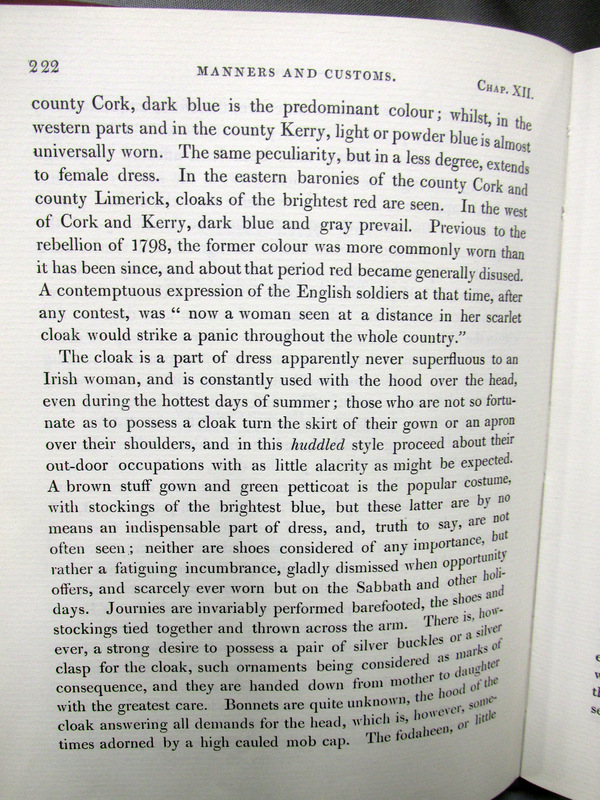 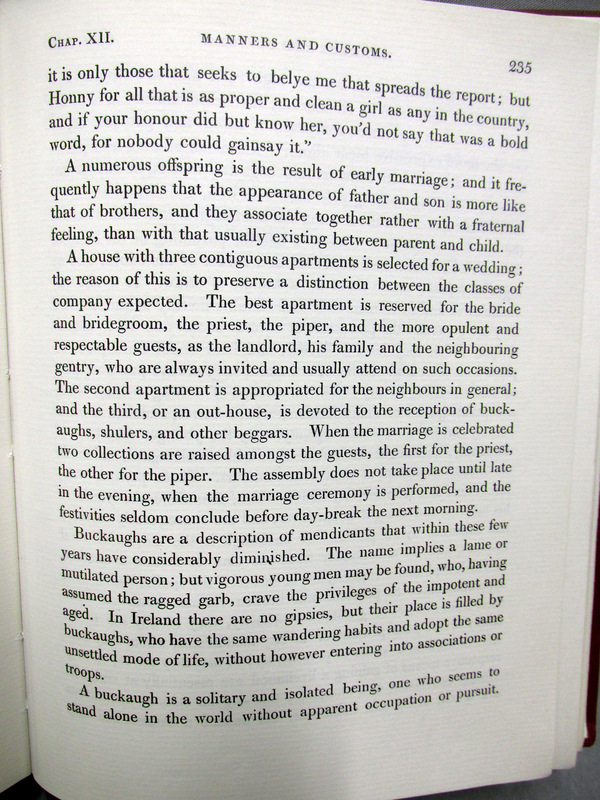 Pre 1798 the Women’s Cloaks in West Cork and Kerry were Dark Blue after Grey, Custom of Greeting as a Benediction, the wench with the family of Bishop Berkeley who refused to carry out cinders as she was descended from the Ancient Kings of Ireland, Marriage Customs, Backaughs (Beggars) from Crofton Croker. 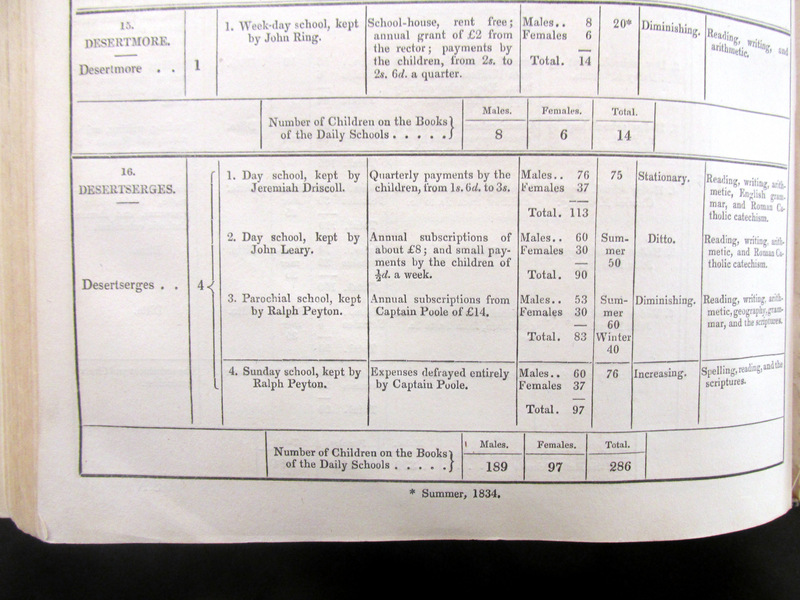 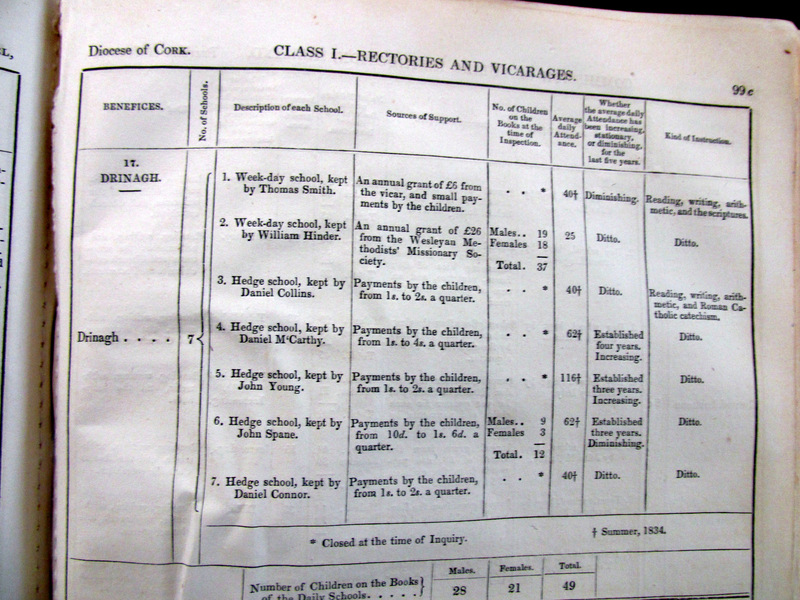 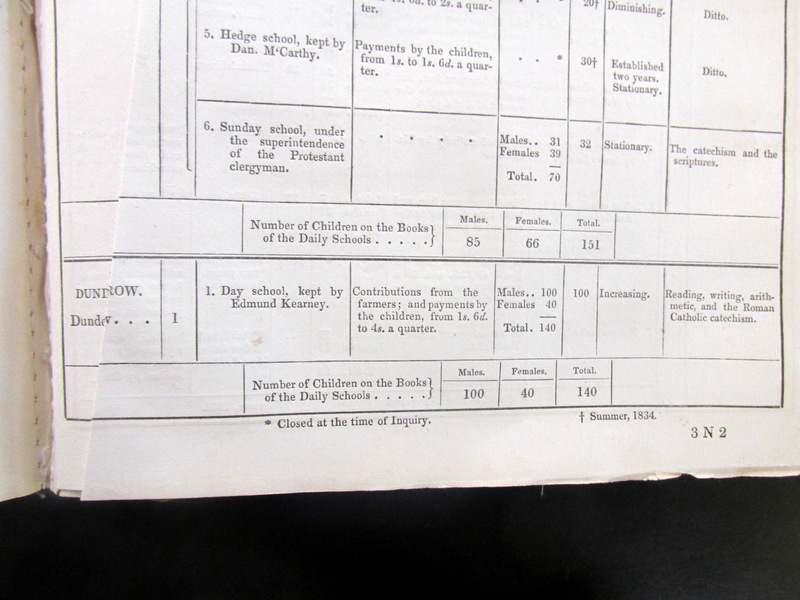 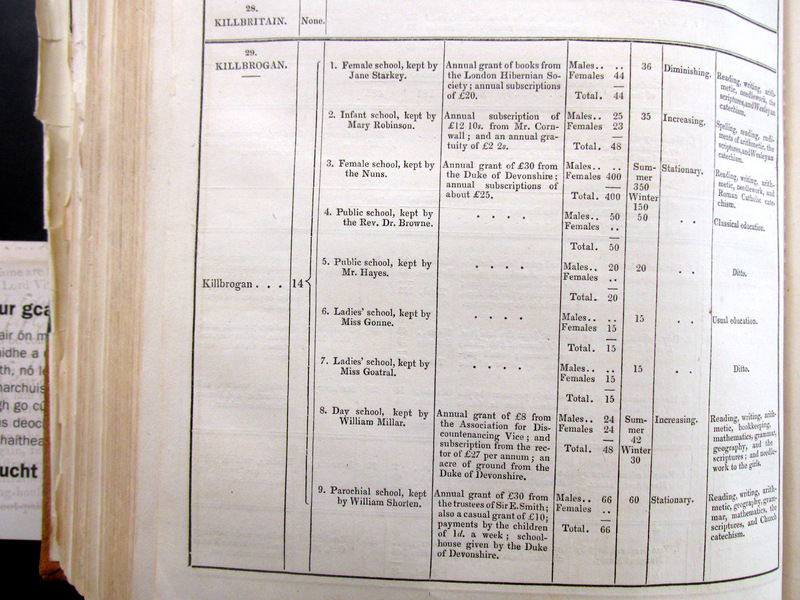 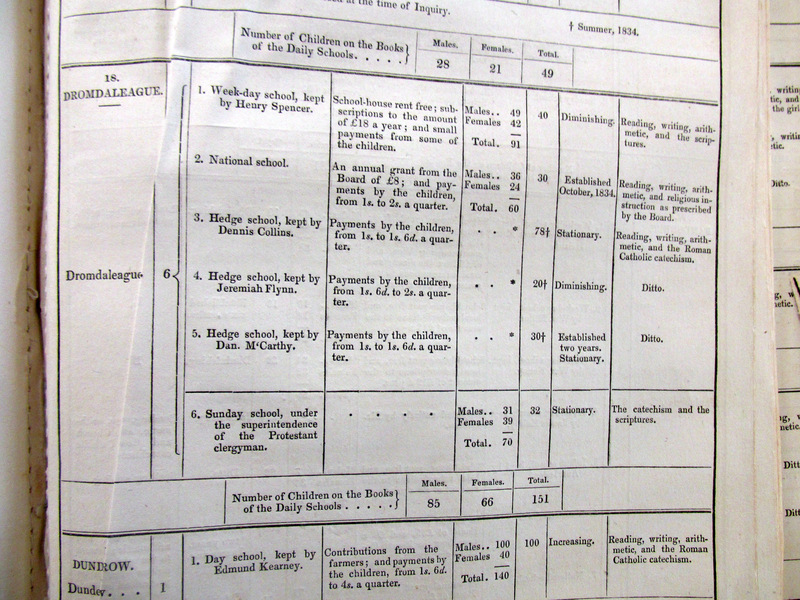 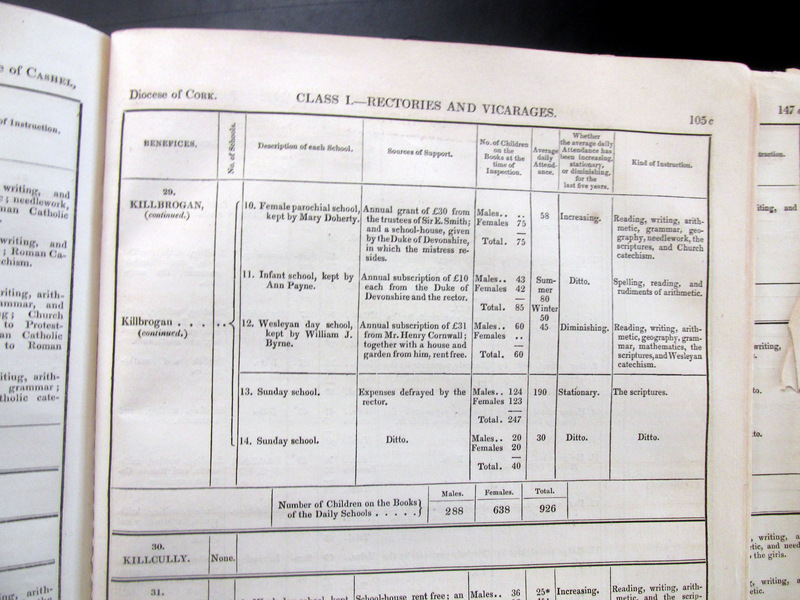 Schools 1835, Desertserges, Desertmore, Drinagh, Drimoleague, Dunderrow, West Cork, Commissioners of Public Instruction. 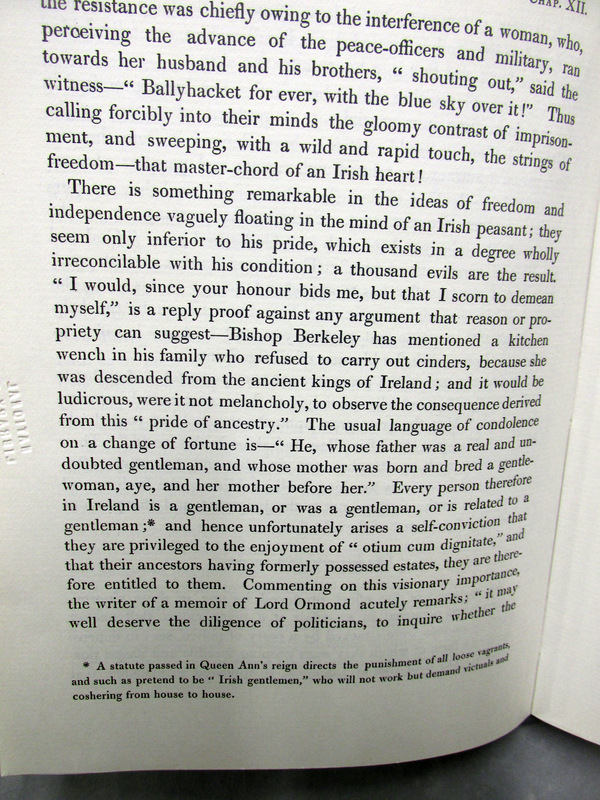 W Cowley and James White sitting with Jury in Cork February 1541 Deputies of the King’s Commission for Co. Cork forfeiting Monasteries, Abbey of the Cave of St. Finbarr or Gill Abbey (including lands at Kilcrohane and Bantry, West Cork), Benedctine Priory of Rosscarbery with Church and Buttery, Carmelite House, Kinsale. 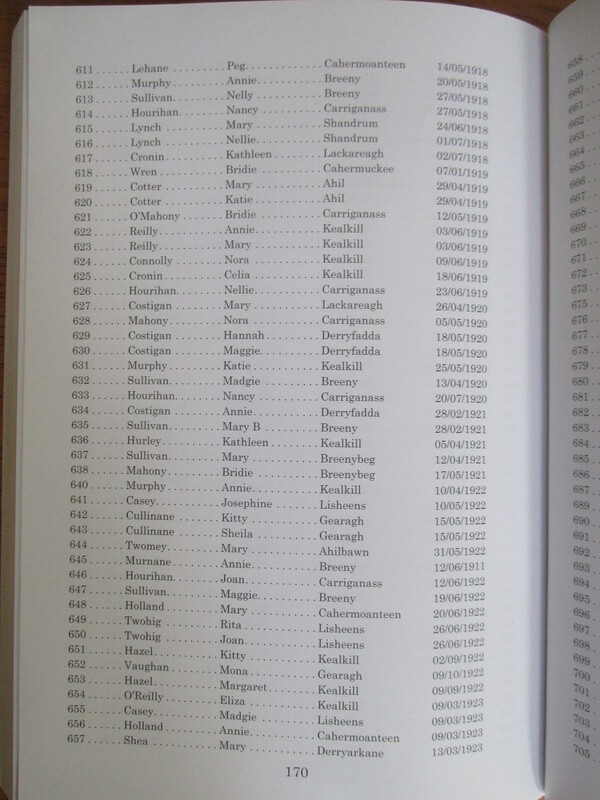 Among the various jurors old Cork names like Galwey, Skiddy and Coppinger feature among others. 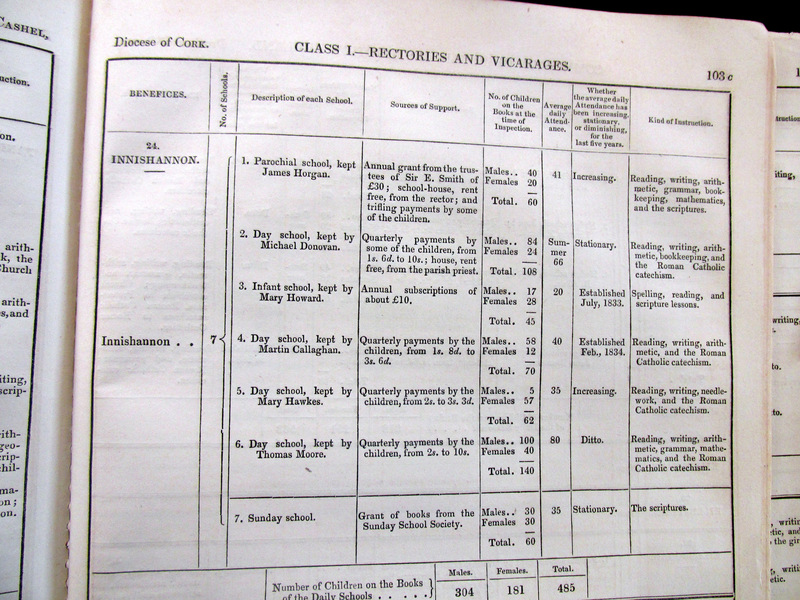 There is some listing of tenants and details of other property assets and valuations. 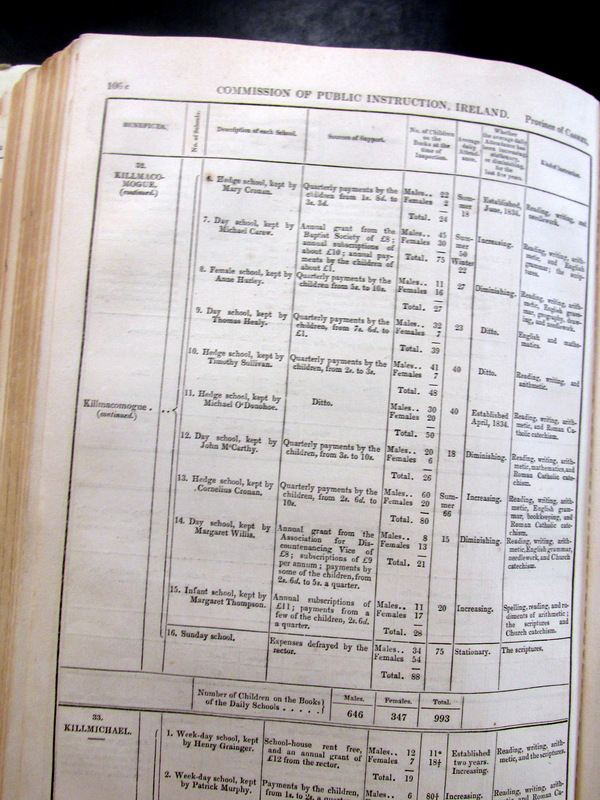 The Irish Manuscript Commission in 1943 published the extent of irish Monasteries in 1541 based on records in the Public Records Office in London. 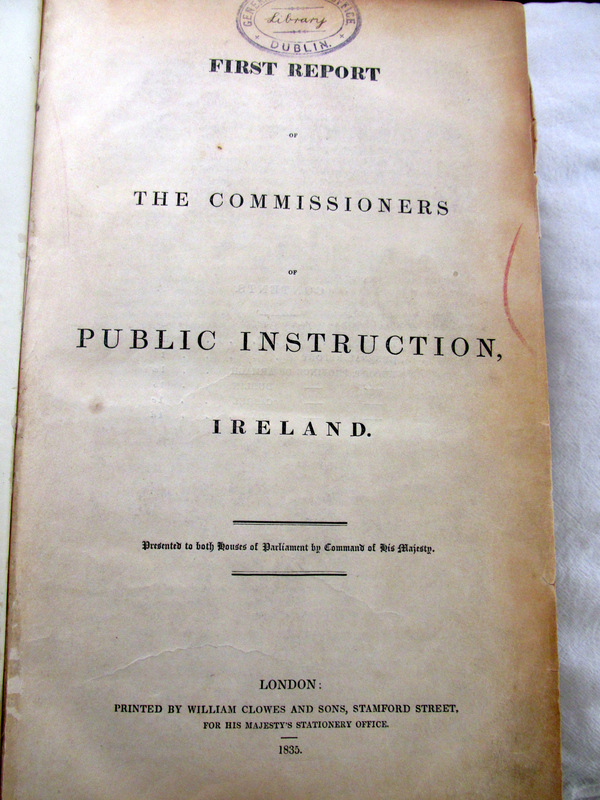 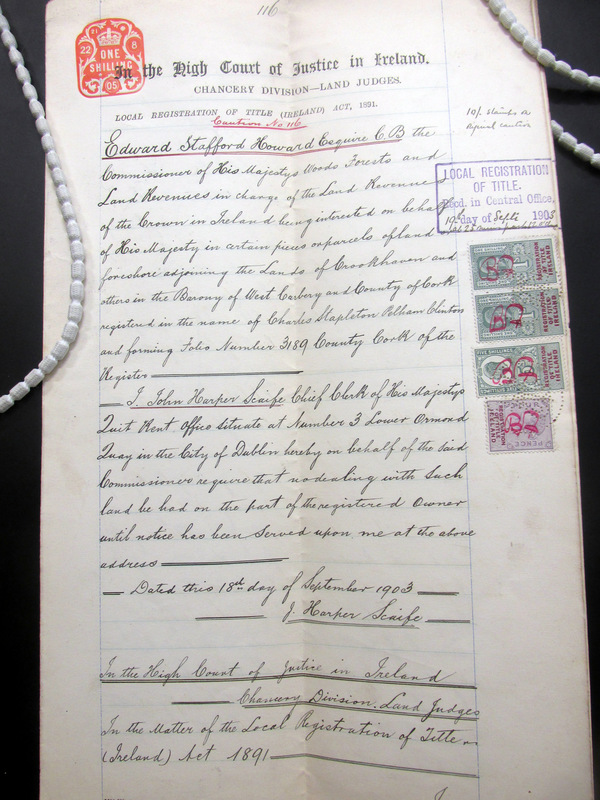 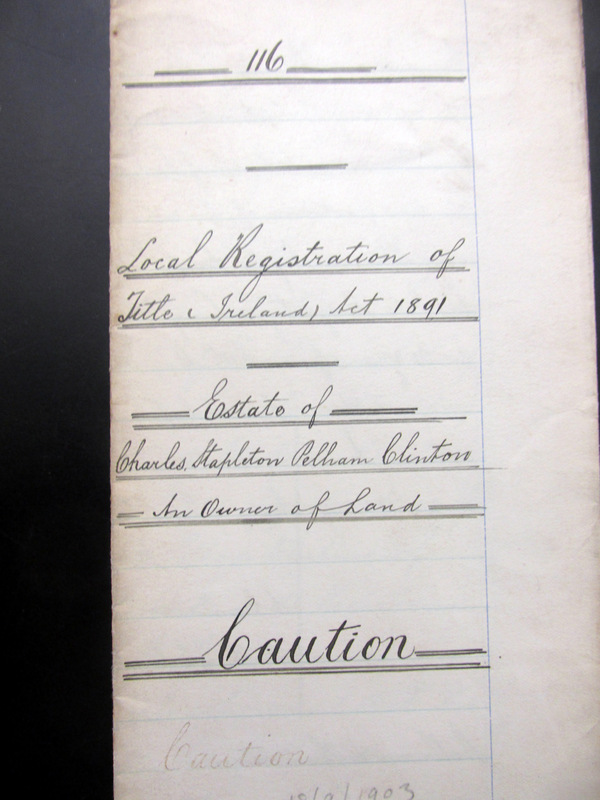 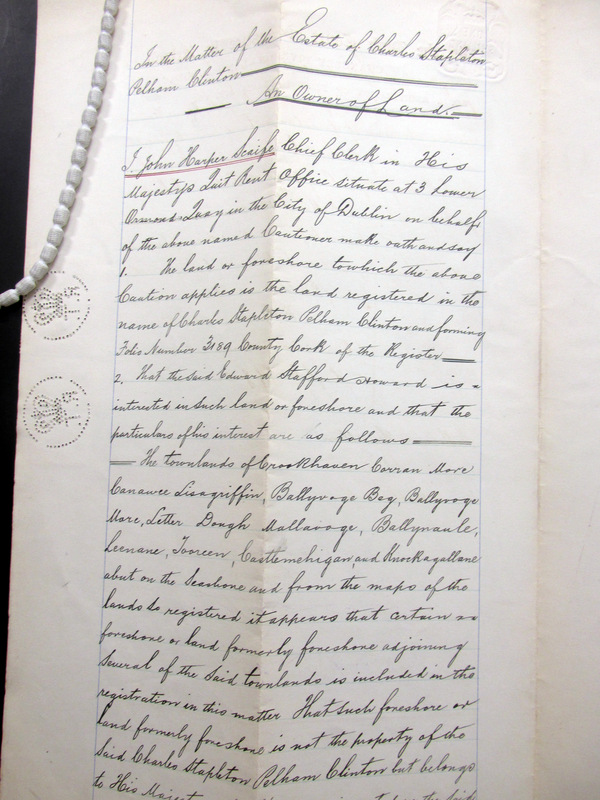 The are now online, look up the Irish Manuscript Commission site online editions. 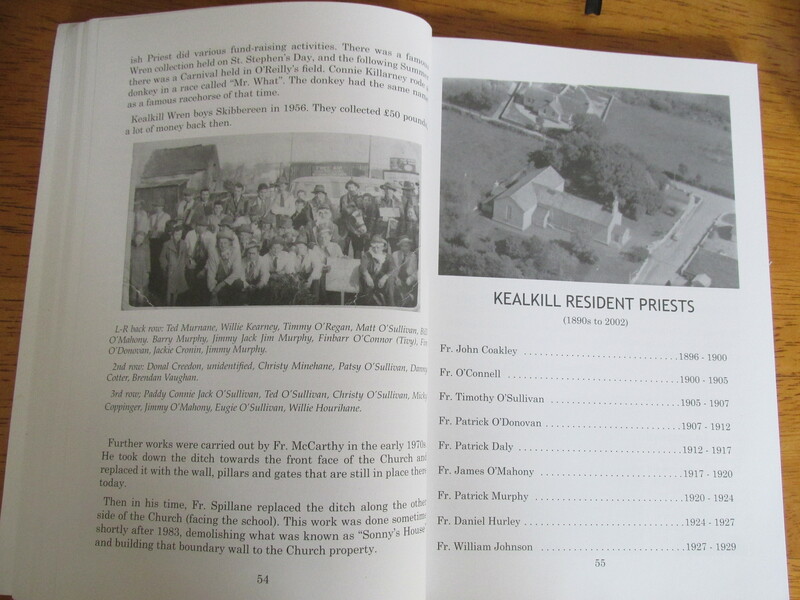 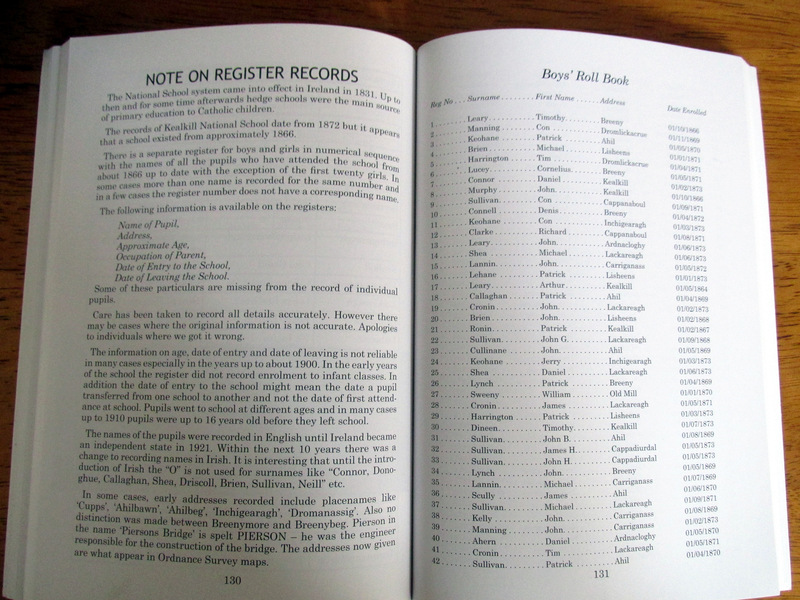 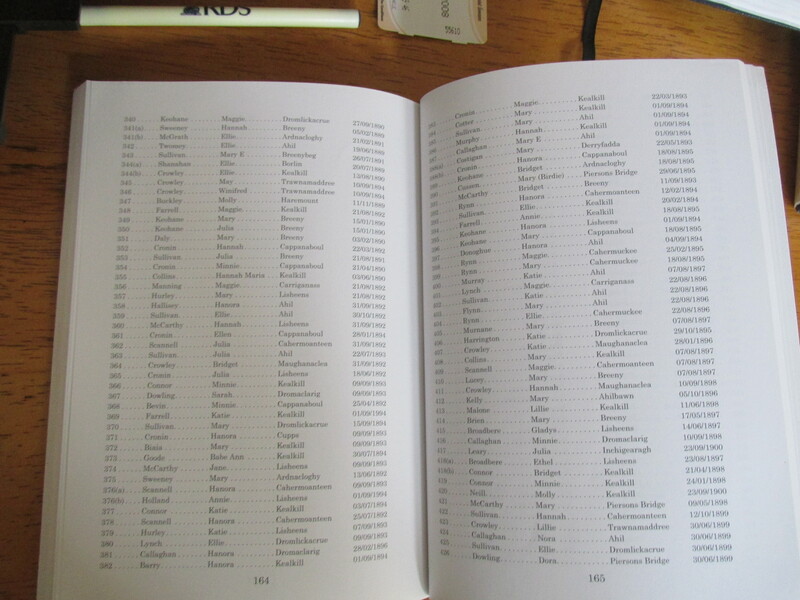 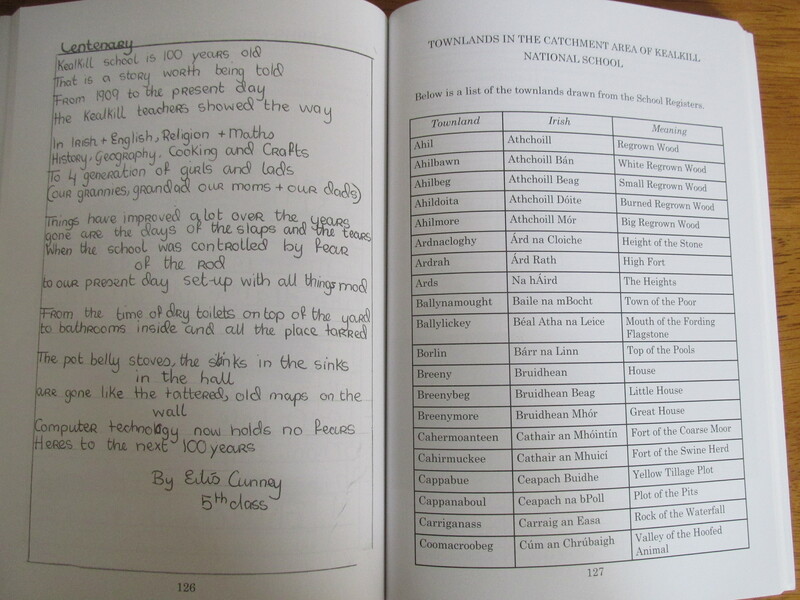 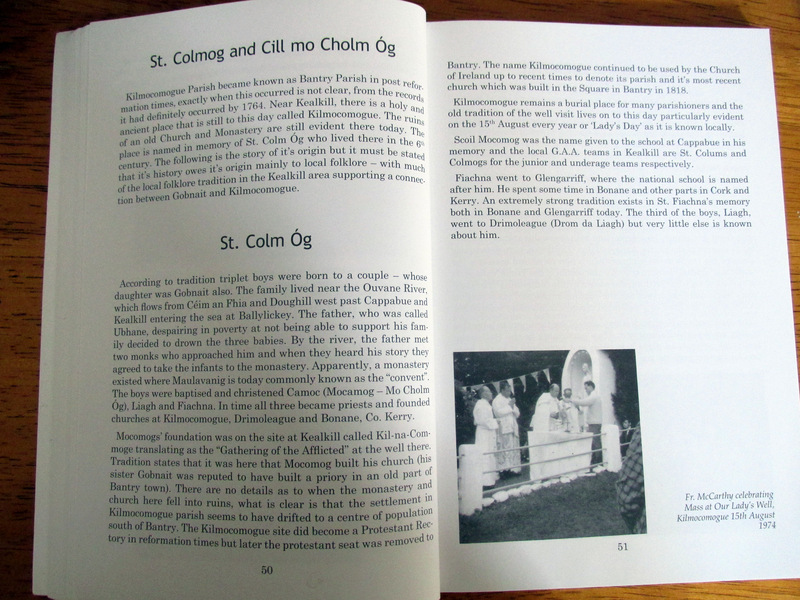 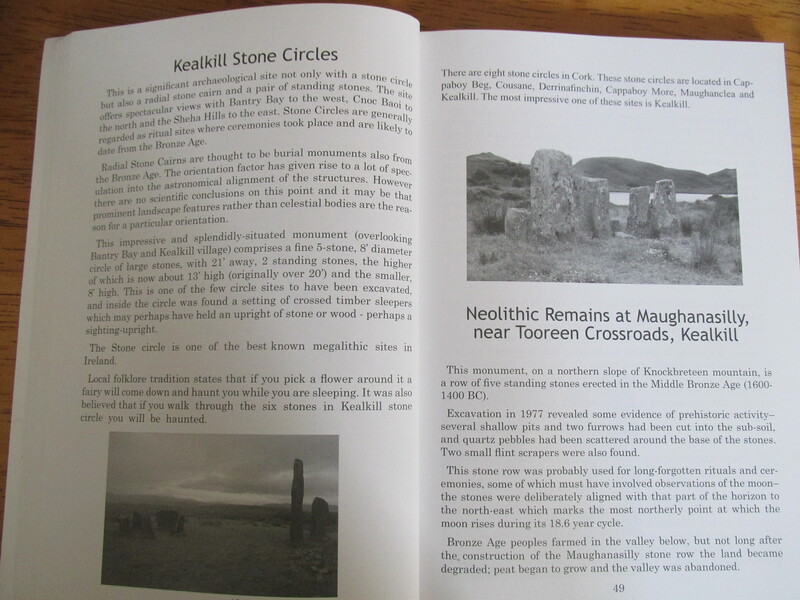 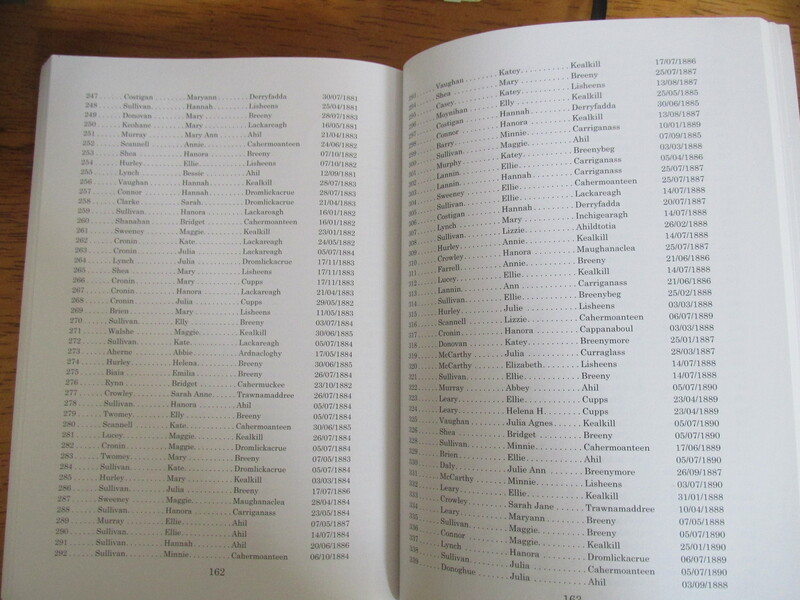 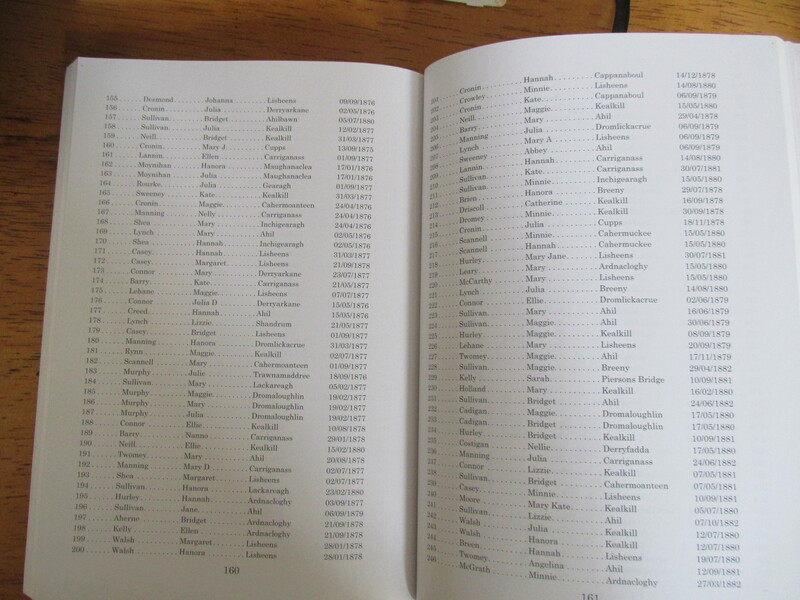 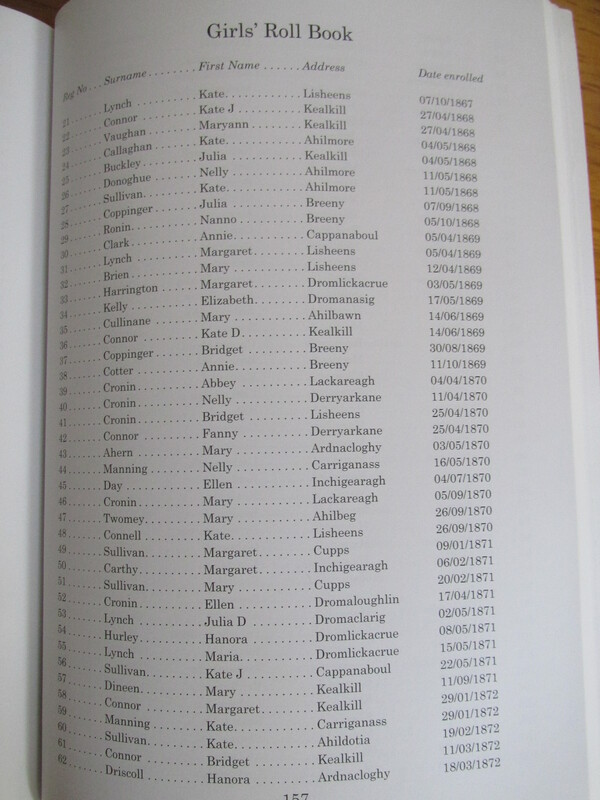 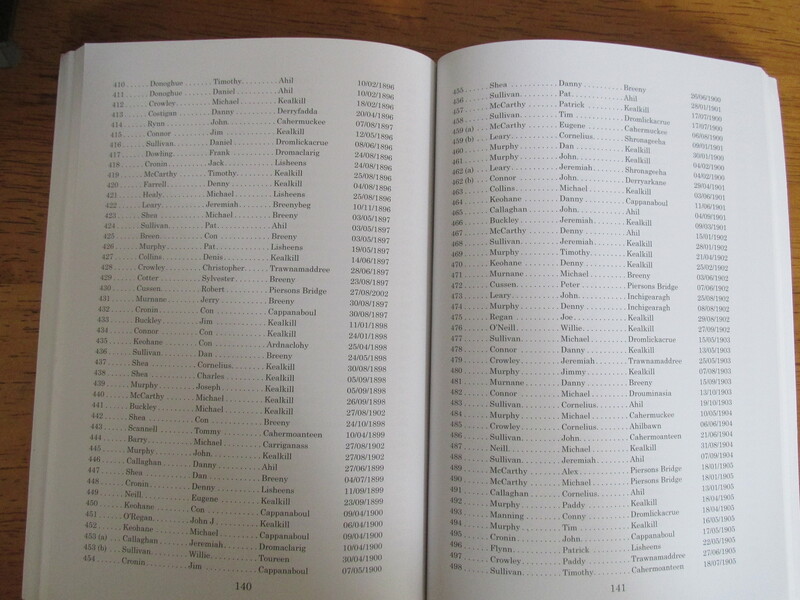 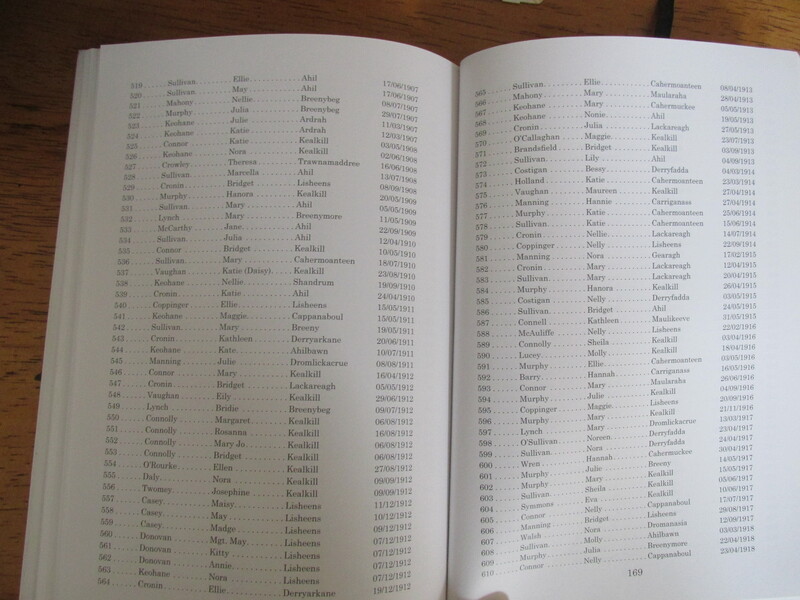 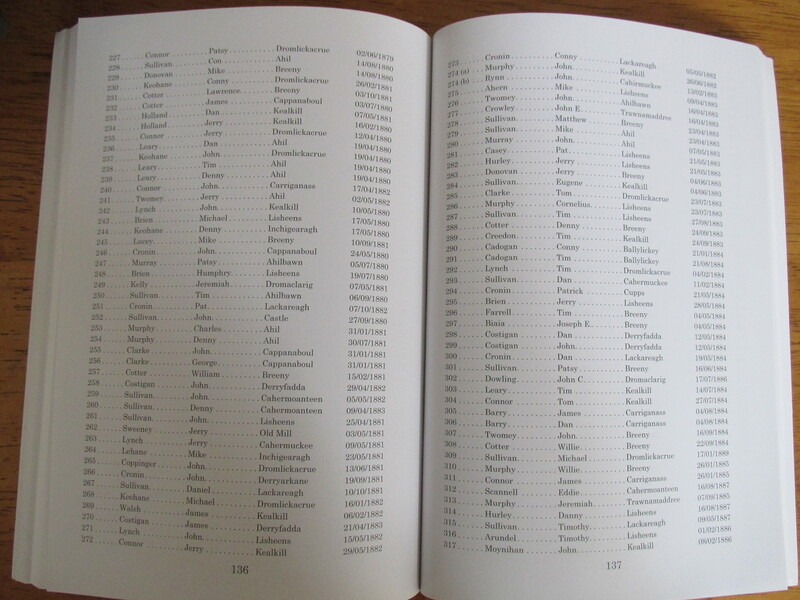 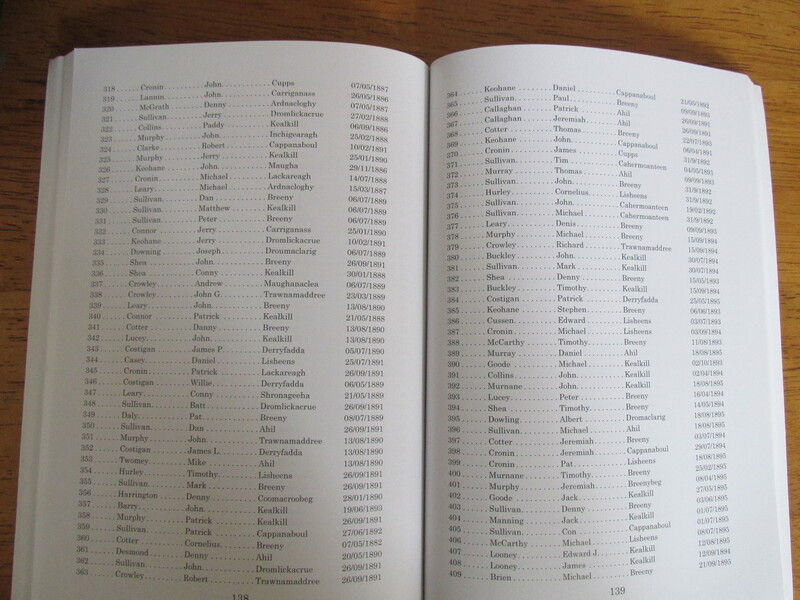 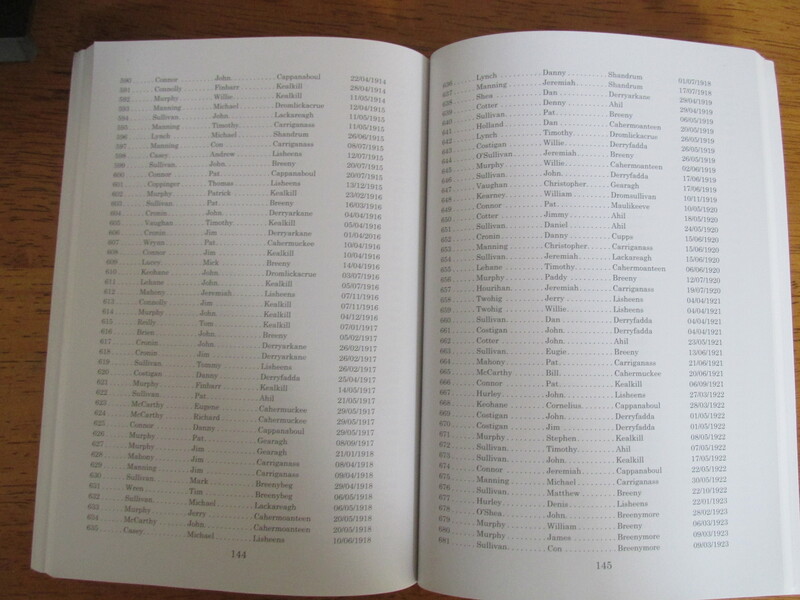 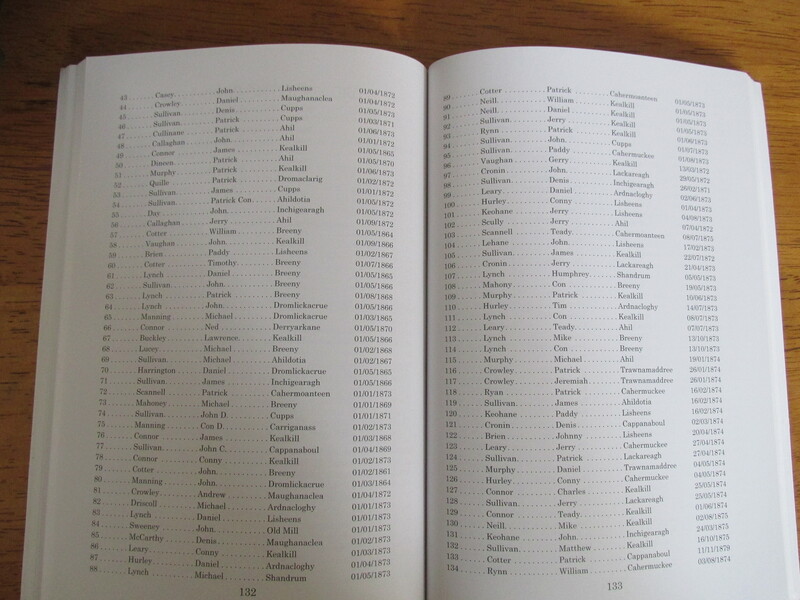 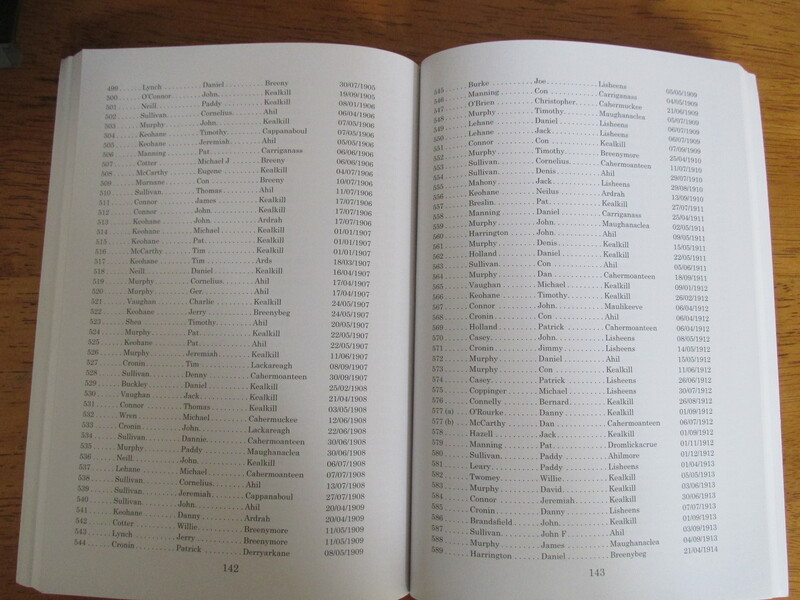 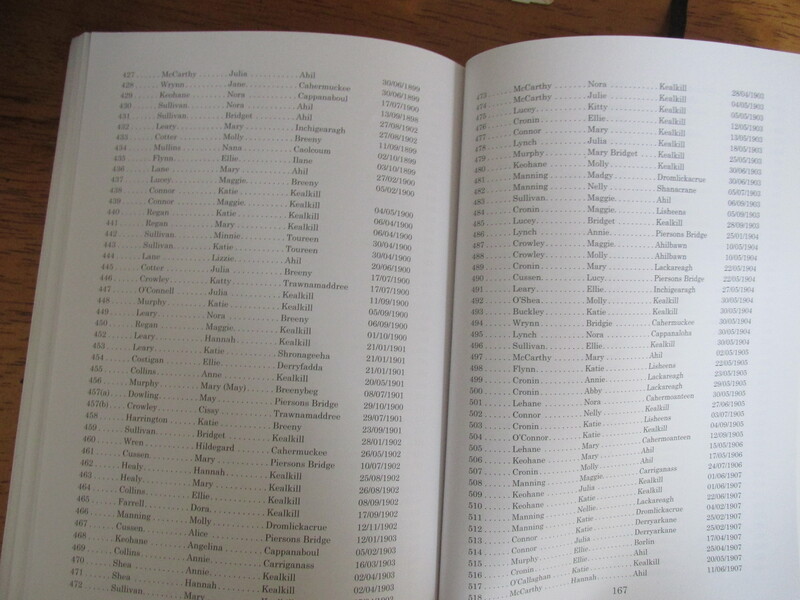 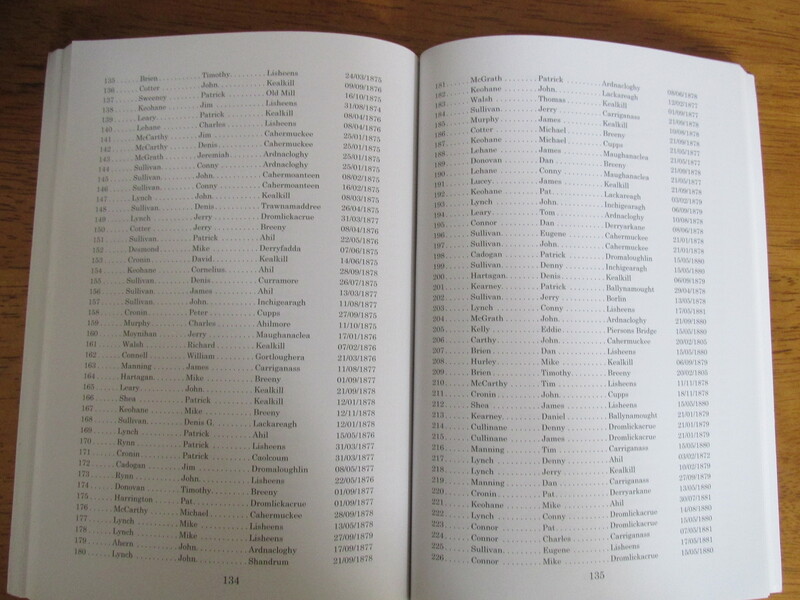 Cork Monasteries in original book from around p 156 and digital edition p 140. 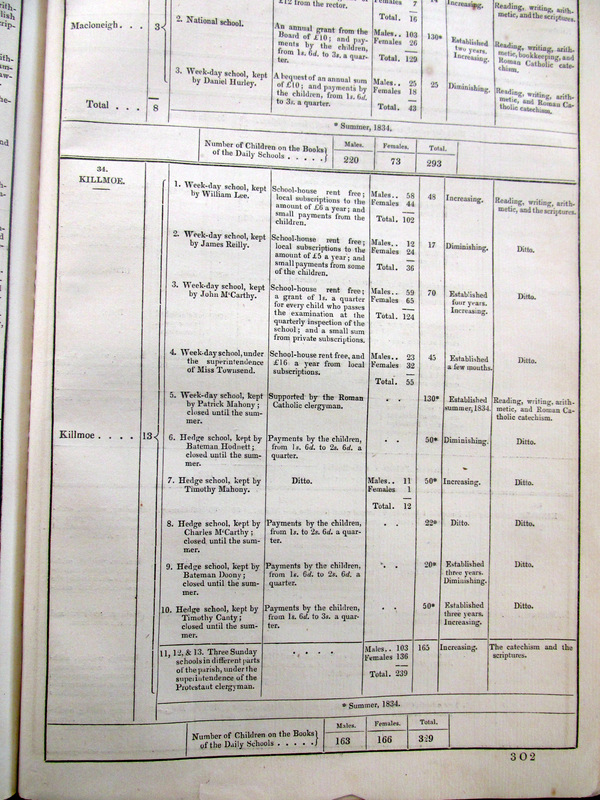 The St. Finbarr properties roughly correspond to their property inventory from c 1800 and probably date from the Norman conquest. 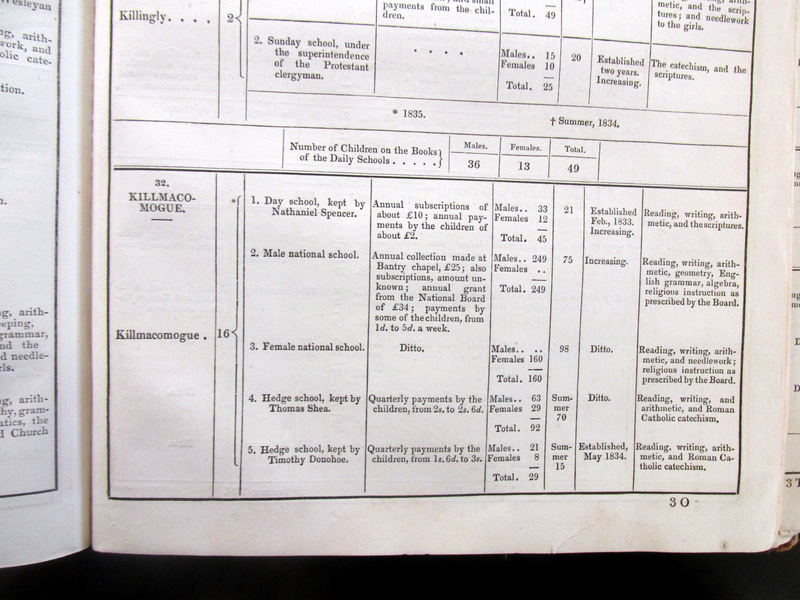 Pupils Kealkil National School, West Cork, 1866-1920, and some West Cork schools and teachers 19th century.